Shahid Afridi was spotted doing ball tampering in a ODI match against Australia in T20. He taken bowl in his mouth like Apple. After this incident he was banned for two T20 mtches. 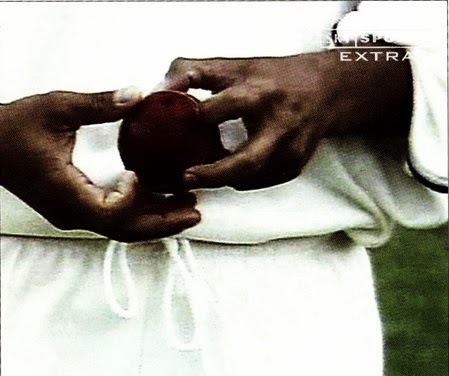 Sachin Tendulkar was accused of tampering with the ball in 2001 during a test match against South Africa in Port Elizabeth. here is a close view of that incident. Faf Du Plessis was spotted Tampering the ball with his trouser zip during second test match against Pakistan In Dubai. 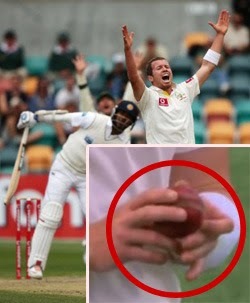 Australia's Peter Siddle was accused of tampering with the bowl in 1st test match against Sri Lanka In December 2012. World's fastest bowler ever Shoaib Akhtar was accused for playing with the ball in 5th ODI match against England in 2010 by British Media. 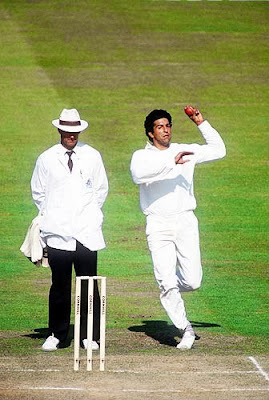 The King of Swing Bowling Wasim Akram was also blamed by the British Media for Tampering in 1992 after his amazing performance against the English Batsmen. 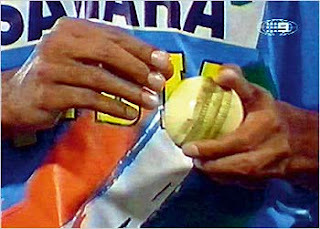 India's former captain Rahul Dravid was fined in 2004 for rubbing the lolly pop with a ball in a match against Zimbabwe. 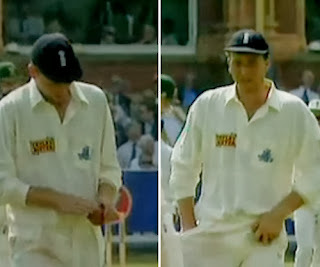 England's former captain Michael Atherton for also blamed for playing with the ball in 1994 in a test against South Africa. he was blamed for rubbing something on the ball that was present in his pocket. 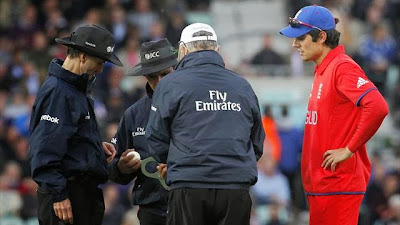 English team also came under same allegations earlier this year in a ODI match against Sri Lanka when Umpire Aleem Dar was seen changing the ball but English coach Ashley Giles denied the allegations.